Yesterday, my daughter had to go to work earlier than usual, and since the gym where I work out is not far from her office, I decided to take her to work and then go to the gym. At quite an earlier hour, the gym was already full with men and women of all ages, working out and exercising. I usually do not go to the gym at this early hour, and was surprised to see so many people. It seems that many go the gym to exercise before going to work. Some go the gym to lose weight, others to shape their body, and quite a great number like to pump iron and build their muscles. I know how tough it is for most people to start exercising. Most people know it is healthy and good for their body, but they are too lazy to go to the gym, especially in the morning. They prefer to spend an extra hour in bed before starting their day. In the afternoon, they are too tired after work, and prefer to stay at home or go out to meet friends. You need a good dose of self-discipline to go to the gym and to continue going, despite laziness and the inclination to procrastinate. It is the same in all areas of life. It is the same when you need to run a task, carry out a decision or achieve a dream. There are laziness, procrastination and many excuses why it is not the right time. Doing things requires effort, and often, we want to avoid this effort, even when we know that we would gain much by doing what we are trying to avoid. Returning to the topic of the gym, when you first start working out, it is too difficult, and you might look for excuses not to work out. However, if you insist on going to the gym and exercising, after a while, you would start to like it. This usually happens after gaining results, when you see that you are losing weight, your body getting into a better shape, and you feel stronger and more energetic. This often awakens a strong motivation to continue. 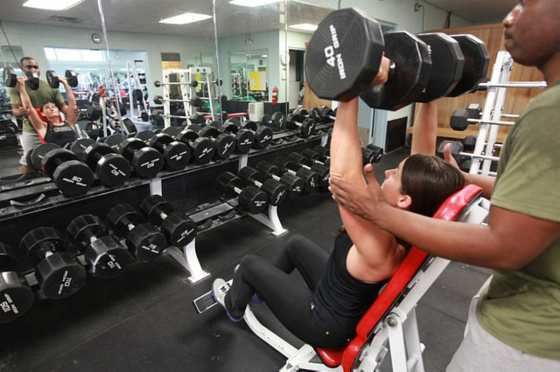 When you look around you at the gym, you see people with shaped bodies and muscles. They did not get them by sitting on the couch watching TV. They got them because they had the self-discipline to go to the gym almost every day and workout. Applying self-discipline to working out develops the habit of discipline, a habit that you would be able to use in all other areas of life. It is the same in every other area of life, when study a foreign language, develop a new skill or a new habit, and when you focus on achieving your dreams. It is tough at first, and you might not have enough motivation. However, with a little bit of self-discipline and perseverance you can overcome all obstacles. When you start to see results, everything becomes easier, because you your motivation and desire begin to grow. Every achievement, small or big, needs self-discipline and the ability to continue, despite obstacles, failure or difficulties. Achieving success requires that you leave your comfort zone, laziness, and the tendency to procrastinate. This requires some inner strength, which you can develop, even if you lack it now. Successful men and women possess the habit of discipline. Without this habit, you will not be able to control your behavior, avoid temptations and focus on a task until you complete it. Every achievement requires long, sustained periods of focused effort on your goal. You need determination to persevere until you complete it. As you see, you need a certain degree of self-discipline to get started. Fortunately, self-discipline is not difficult to develop. I have written many articles about this topic, and also a book with advice, instruction and simple, but effective exercises. You can easily develop the habit of self-discipline by practicing suitable exercises. You can find a few simple ones, to begin with, here. However, if you want to gain more power, and therefore, have more control of your life and habits, increase your chances of success, and live your life as you want, I recommend that you read the book Strengthen Your Willpower and Self Discipline.